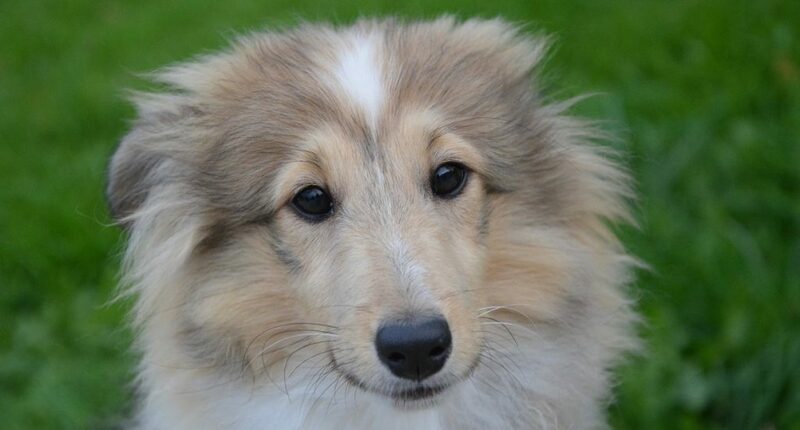 Would you like to meet the Shetland Sheepdog? Introducing this pretty and agile breed… a superb athlete that excels at dog sports and herding. He is sometimes referred to as the ‘Sheltie’ because his origin is the Shetland Islands. He looks so much like his relative the Scotch Collie (Lassie) but is a smaller version which was relevant to the island where he lived. Weather was harsh and food was scarce, so it was easier to feed a smaller size herding dog. The tiny Shetland Ponies also originate from the Shetland islands. The Sheltie is wary of strangers but is a devoted pet who will happily follow his human like a shadow. He needs time devoted to him and needs to be able to channel his energy into work, play or tasks. They tend to bark more than average so you are best to keep them busy. With a bright and playful personality, the life of a Sheltie owner will never be dull and this dog has a great bond with his human. His double coat is thick and requires frequent grooming. The top coat is water repelling but brushing whilst wet helps avoid breakage. The Shetland sheepdog falls into the ‘easy to train’ category and would be well suited to an owner who loves walking, running or hiking. Though his stature is considered small to medium (around 12kg as an adult), he will still catch the attention of ‘large dog’ lovers and is definitely not a lap dog. He comes in several colour combinations but it is his lovely face which will woo you. Herding is the favourite game of this high energy breed any he may attempt to herd pretty much anything or anyone that moves. For a snapshot into a day in the life of Shaeffer the Sheltie, click the link below.